The works of the artist couple are being prepared at EMMA for the international solo exhibitions. Rut Bryk’s ceramic art is taken on an extensive touring exhibition to Japan, while Wirkkala’s glass art is on display at the Murano Glass Museum in Venice. EMMA presents a new documentary on Rut Bryk as well as Maaria Wirkkala’s new work "Mosaics of the Mind". 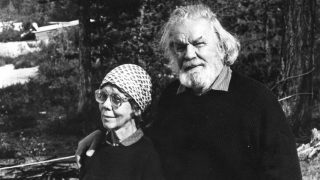 Rut Bryk (1916–1999) is one of the reformers of Finnish ceramic art. Her artistic production, spanning six decades, will be taken on an extensive touring exhibition to Japan. The exhibition will be opened at Tokyo Station Gallery on 27 April. The exhibition will continue its tour until autumn 2020 in the following museums: Itami City Museum of Art, Museum of Modern Ceramic Art, Gifu and Kurume City Art Museum. The jointly curated exhibition primarily consists of Bryk’s ceramic works but also includes sketches, graphics and textiles. 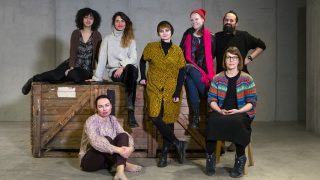 In collaboration with the Tapio Wirkkala Rut Bryk Foundation, EMMA has produced the documentary film Rut Bryk: Touch of a Butterfly, which will be shown at EMMA from April 3rd to May 5th. The documentary, which has been partly filmed in Lapland scenery, is a warm and intimate portrayal of Rut Bryk, who was at home in both global metropolises as well as the middle of Lapland’s wilderness. 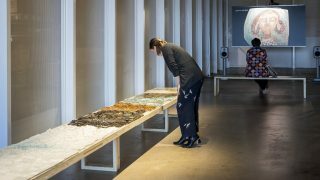 Alongside the documentary, EMMA features artist Maaria Wirkkala’s new work Mosaics of the Mind (2019) until 14 April, after which it will journey to Japan as part of the touring exhibition. An extensive exhibition on Tapio Wirkkala’s (1915-1985) works is featured at Murano Glass Museum in Venice during 7 May – 29 September, simultaneously with the Venice Biennale. The exhibition presents primarily glass works designed by Wirkkala, including also his best-known works created from other materials. In Finland, Wirkkala collaborated with Iittala for four decades. The close relationship with Italy began in the early 1960s upon the start of a long-term collaboration with the Italian Venini glass factory. 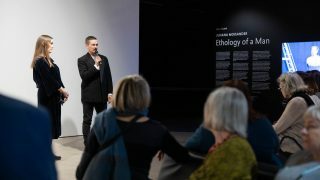 The exhibition’s curators, designer Harri Koskinen and architect Marco Romanelli, create a dialogue between Italian and Finnish viewpoints and the tradition of glass design through Wirkkala’s works. Read more about the Rut Bryk documentary. Bryk’s and Wirkkala’s works are on permanent display at EMMA. Read about the Visible Storage.